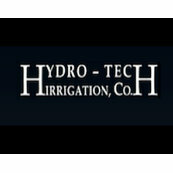 14 Reviews for Hydro-Tech Irrigation Co. Very professional and fast. The work was performed as expected. The technician took the time to explain what he was doing and to impart information to me. Very good all around! Project Manager / Salesman Yoni Wiss, the installers and the person who winterized the system all were very good to work with. Great-they did a great job and very helpful for first time irrigation owners. Very patient and responsive as adjustments needed to be made. The main guy, Mr. David Reese, was outstanding. Hydro-Tech Irrigation was great at setting up, explaining how everything works and even following up. Always professional. Always on time. Always quality. They service our system every spring and every fall. System continues to work well year after year.